fairies other cards . : Wont dance you cant make me !!!! Sassy cheryl's sketch challenge love this cute little looks like she is saying Wont dance you cant make me . 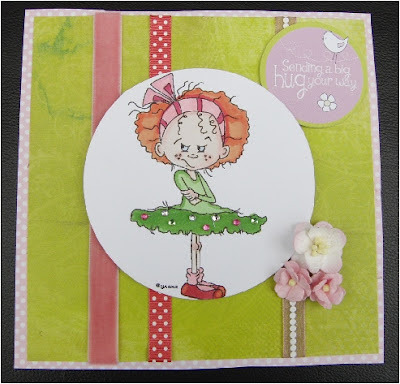 Why dont you join in the challenge they run tuesday to tuesday and we always have a lot of fun .The DT do some wonderful cards for you to see and get some inspiration from . How to darn cute is this my friend! of course someone with this much attitude must have gorgeous red hair! your coloring rocks! Such a sweet sentiment with all this attitude! Awesome card! Always so happy to have you get down and Sassy with us each week! That title just totally cracks me up! And so does the card. It's lovely and I adore those little beads on her skirt/tutu. So stinking cute Mz. Fairsyparkle!